Stuart Chamberlin, is the founder and owner of Chamberlin Financial. Since launching his career in 1988 then going independent in 1996, Stuart went on to establish Chamberlin Financial in 2012 to focus on the insurance side of the industry to take advantage of the many guarantees offered by the insurance industry and shifting risk away from his clients. His primary focus as an insurance specialist consists of helping his client’s preserve, protect and transfer their wealth. 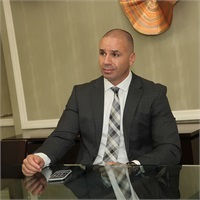 He works closely with individuals, families and businesses on fulfilling their financial needs with custom plans based on their unique goals and objectives. Specializing in creating income for life, transferring family wealth, tax planning, estate planning, life insurance, premium financing, business succession, and retirement planning - Stuart's main focus is to be the “safe money guy” focused on guarantees of principal and/or guarantees of income when working with clients. Stuart and his wife, Angela live in east Delray Beach, Florida. When he isn’t at the office or spending time with his family, he enjoys working out, playing basketball, bicycling, and scuba diving.